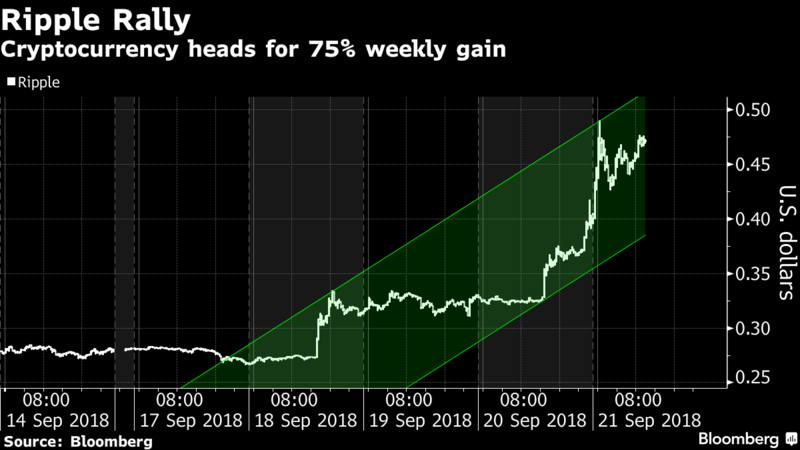 Cryptocurrencies surged on Friday as optimism surrounding Ripple Labs Inc.’s plans for using a digital coin spread, lifting peers that have lost more than $600 billion of value since January. XRP, the cryptocurrency commonly referred to as Ripple, surged as much as 22 percent, taking its one-week increase to more than 75 percent. The Bloomberg Galaxy Crypto Index jumped 8.7 percent, heading for its biggest one-day gain since mid-July. Ripple may launch a service that will use the digital currency “in the next month or so,” one of Ripple’s executives told CNBC on Monday. Called xRapid, the service lets financial companies such as payment providers speed up money transfers into emerging markets using XRP, which is an independent digital asset. A Ripple spokeswoman said Thursday that there isn’t an official commercial release timeline at this point. 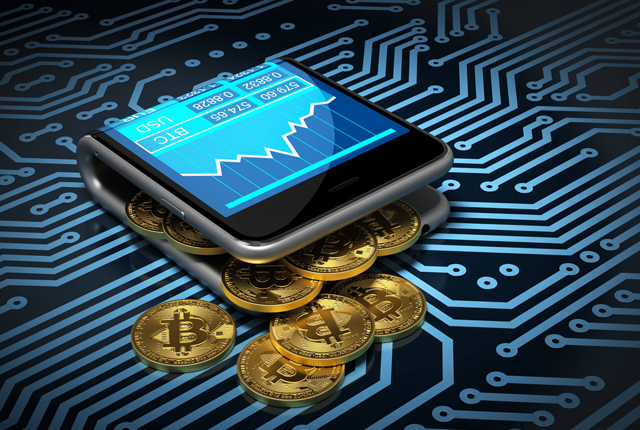 Virtual currencies have struggled to gain institutional backing in part because most banks and payment companies experimenting with blockchain technology have yet to use digital coins for large-scale money transfers. While far outperforming bigger rivals such as Bitcoin and Ether this week, XRP is still down almost 60 percent from its 2018 intraday high. It was up 15 percent to 46.4 U.S. cents as of 10 a.m. in London, according to Bloomberg composite pricing. The value of virtual currencies tracked by CoinMarketCap.com has dropped to $218 billion from about $835 billion in January. XRP was released on a distributed ledger in June 2012, with 100 billion XRP created before Ripple the company was formed in September 2012. After Ripple was founded, the creators of XRP gifted a substantial amount of it to the company. Ripple owned about 60 billion XRP, with the majority of it held in escrow, as of July, according to information listed on the company’s website. Ripple Labs is set to hold its Swell conference on Oct. 1-2 in San Francisco. The meeting will include speakers from Spain’s Banco Santander SA, Payments Canada and other financial institutions and regulators, as well as former U.S. President Bill Clinton. Ripple also added PNC Financial Services Group Inc. to its network of users. Ripple now has more than 100 clients around the world and operates in 40 countries.